Unless you're from a select few countries, such as India, travel to Bhutan is expensive and not easily undertaken. However, the rich culture, unspoiled scenery, and fresh mountain air make it very worthwhile. The number people visiting Bhutan is increasing every year, reflective of growing interest in the country as a tourism destination. Here's what you need to know about to plan your trip. The Bhutanese government is reserved about allowing visitors into the country. Independent travel to Bhutan is opening up but it's not something the government encourages. Generally, visitors to Bhutan must either be tourists, or guests of the government. The only other options for visiting the country are to receive an invitation by "a citizen of some standing" or a volunteer organization. With the exception of passport holders from India, Bangladesh and the Maldives, all tourists must travel on a preplanned, prepaid, guided package tour or custom designed travel program. Everyone traveling to Bhutan requires to obtain a visa in advance, except for passport holders from India, Bangladesh and the Maldives. Passport holders from these three countries can obtain a free Entry Permit on arrival, upon producing their passport with a minimum six months validity. Indian nationals can also use their Voters Identity Card. For other passport holders, visas cost $40. The visas must be applied and paid for in advance, from registered tour operators (not embassies), at the same time as booking the rest of your trip. You should try and make your travel arrangements at least 90 days prior to travel to allow time for all the formalities to be completed. The visas are processed through an online system by the tour operators, and are approved by the Tourism Council of Bhutan once full payment of the cost of the trip has been received. Tourists are issued with a visa clearance letter, to be presented at immigration upon arrival at the airport. The visa is then stamped in the passport. The only international airport in Bhutan is located at Paro. Currently, two airlines operate flights to Bhutan: Drukair and Bhutan Airlines. Departure points include Bangkok (Thailand), Kathmandu (Nepal), New Delhi and Kolkata (India), Dhaka (Bangladesh), Yangoon (Myanmar), and Singapore. It's also possible to travel to Bhutan from India overland by road. The main border crossing is Jaigon-Phuentsholing. There are two others, at Gelephu and Samdrup Jongkhar. The minimum price of tours (called a "Minimum Daily Package") to Bhutan is set by the government, to control tourism and protect the environment, and can't be negotiated. The price includes all accommodations, meals, transportation, guides and porters, and cultural programs. Part of it also goes towards free education, free healthcare, and poverty alleviation in Bhutan. "Minimum Daily Package" prices vary according to the season and number of tourists in the group. $250 per person per day, for a group of three or more people. $280 per person per day, for a group of two people. $290 per day for single individuals. $200 per person per day, for a group of three or more people. $230 per person per day, for a group of two people. $240 per day for single individuals. Discounts are available for children and students. Do note that each tour operator has their preferred hotels. These are often the ones that cost less. Therefore, tourists should find out the hotels they've been assigned to, do some research about hotels in Bhutan on Tripadvisor, and ask to switch hotels if not satisfied. Most people assume that they're stuck with a fixed itinerary and the hotels allocated to them. However, tour companies will in fact accommodate requests in order to keep business. The Bhutan Tourist Corporation Limited (BTCL) comes highly recommended for making travel bookings to Bhutan. This company is owned by members of the royal family and advertises itself as Bhutan's number one travel agency since 1991. The drivers, guides, and accommodations provided are excellent. If you're interested in photography, see what Rainbow Photography Tours of Bhutan has to offer. The Tourism Council of Bhutan also has a list of registered tour operators on its website. According to the Bhutan Tourism Monitor, these were the top 10 tour operators in 2015 (based on the number of tourists received/bed nights). This information hasn't been provided in the 2016 Bhutan Tourism Monitor. ATM service is unavailable in Bhutan, and credit cards are not widely accepted. The Bhutanese currency is called Ngultrum and its value is linked to the Indian Rupee. With the exception of 500 and 2,000 rupees notes, the Indian Rupee can be used as legal tender. Bhutan is rapidly changing with a great deal of construction going on, particularly in Thimphu and Paro. As a result, these places have already started to lose their charm and authenticity. Visitors are advised to fly internally from Paro to Bumthang, in the heart of Bhutan, in order to experience the traditional Bhutan. 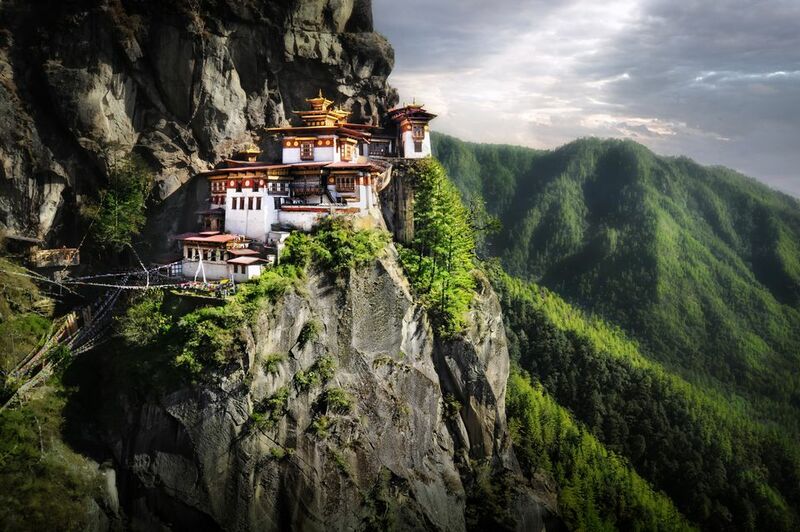 If you're thinking about visiting Bhutan, it's better to go sooner rather than later! Read More: When is the Best Time to Visit Bhutan? Why Is Bhutan Filled With Phallus Paintings?